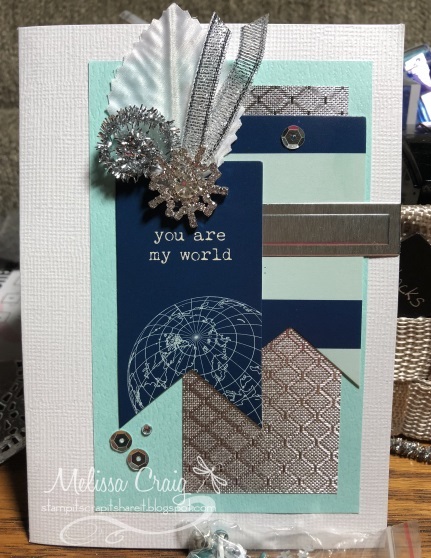 This kit is the December 2015 kit and this card I am playing along with Sketch Saturday. These other 2 cards are a couple more from the same kit and CASE'd from the inspiration card that was included in the kit. There are a couple more and I'll share next week with the Tuesday Morning Sketches card. Have a good day! Hello! Thank you for stopping by. I appreciate your visit - I sure wish you'd leave a word or two to let me know you were here. 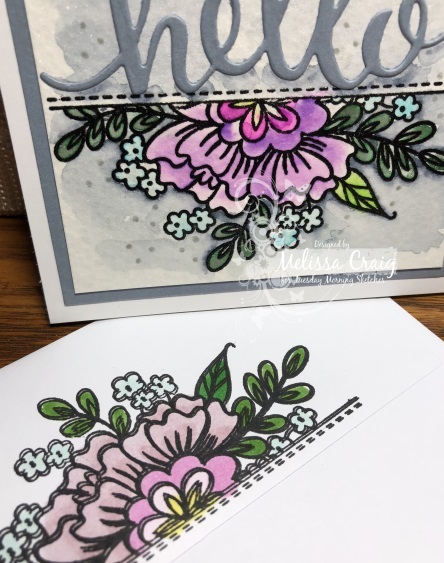 The latest sketch is up on the Tuesday Morning Sketches blog, it's by Debbie and has so many possibilities. 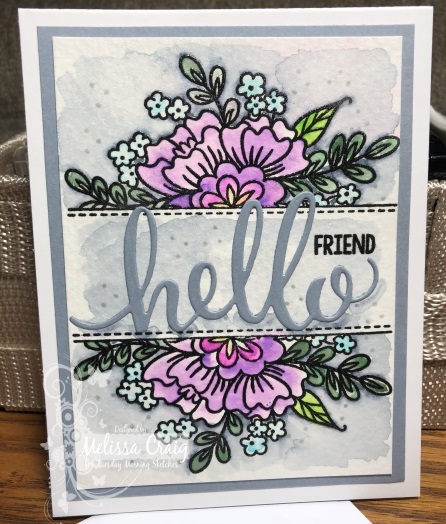 My card features stamp/die from Tonic Studios, sentiment (hello) from Concord and 9th, flowers from stamp set by Papertrey Ink and Picked Raspberry and Salty Ocean Distress Oxide inks. 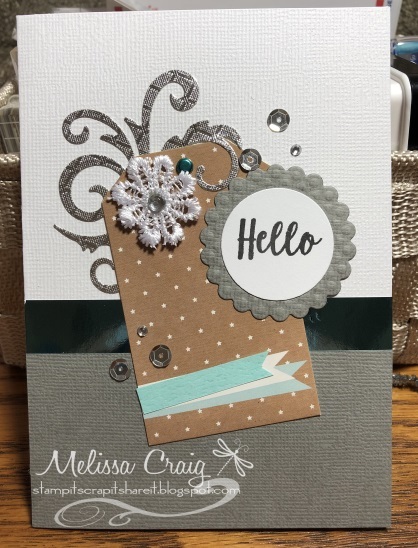 The white embossing powder is by Nuvo. I love this color combination. It's happy and bright. 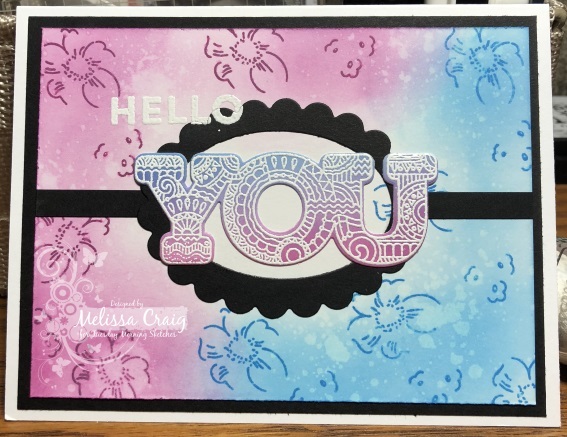 I blended the inks onto Bristol Smooth card stock for both the You and the card layer. This was so easy! This is a single postage card and I am big into those. 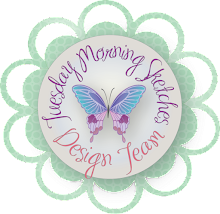 Be sure to stop by the design team's blogs and then we'll see you over at TMS! Hello and thank you for stopping by. The latest sketch is up on the Tuesday Morning Sketches blog and it's a fun one! 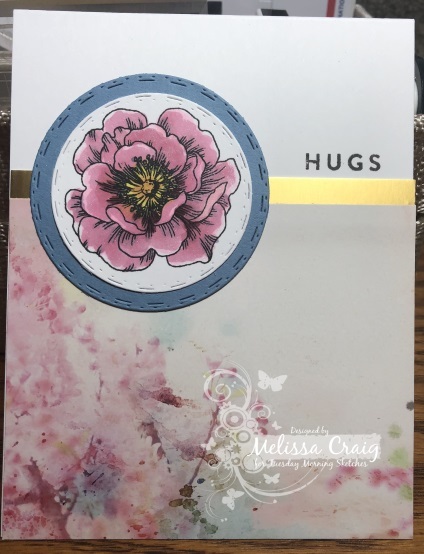 My cards feature stamps and papers from the June 2018 Simon Says Stamp kit. I love how these cards came out but I do wish I'd spent a little more time on improving the coloring. 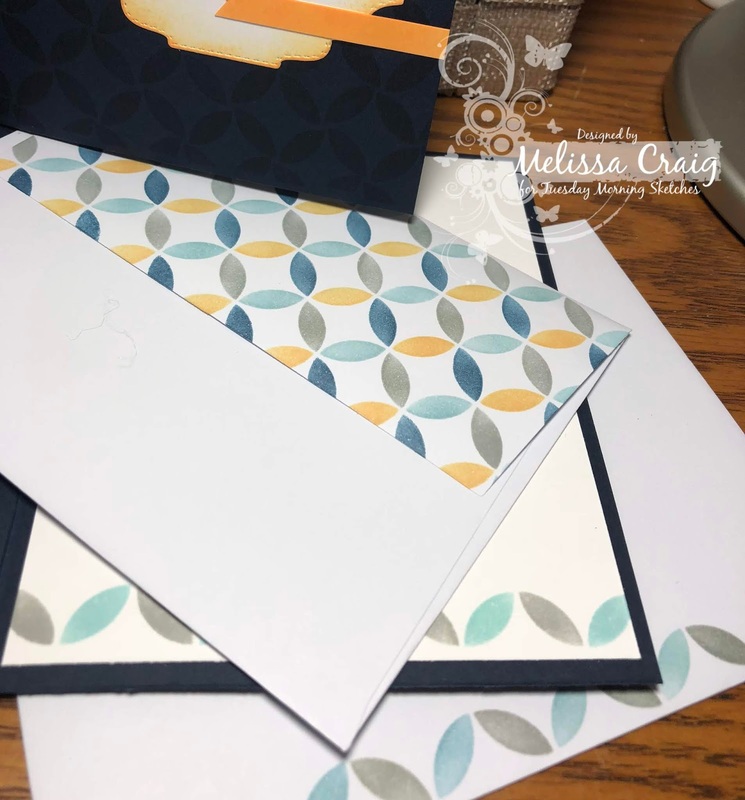 These are great little notecards and are super easy to mass produce. 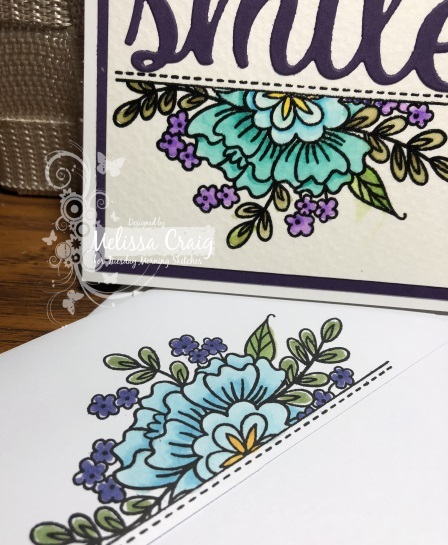 I let the patterned paper do most of the work! 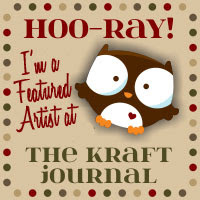 I cut the circles out using a stitched circle die set I picked up from CC Designs that was on clearance for under $5! Could not pass that up. I used a bit of the gold foil paper that came in the kit. The sentiment is also from the kit, but it actually says "Love & Hugs" but I just inked up the Hugs part. Note to self: stamp the sentiment before you glue on the focal piece. Ha! 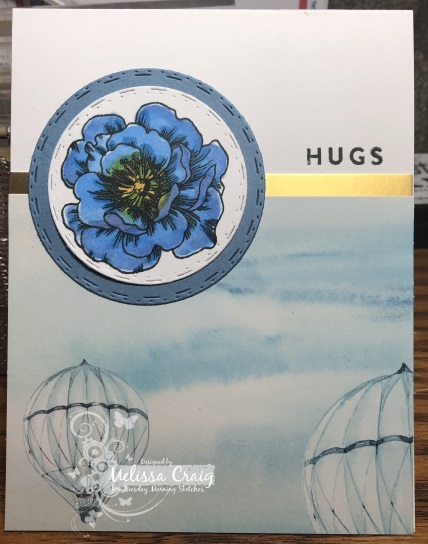 I did finish of the flowers with my Nuvo Aqua Shimmer pen that came in a previous kit. But you can only see the shimmer in real life. Hello! Thank you for stopping by. I appreciate your visit. This week's sketch is up at Tuesday Morning Sketches and it's a fun one. 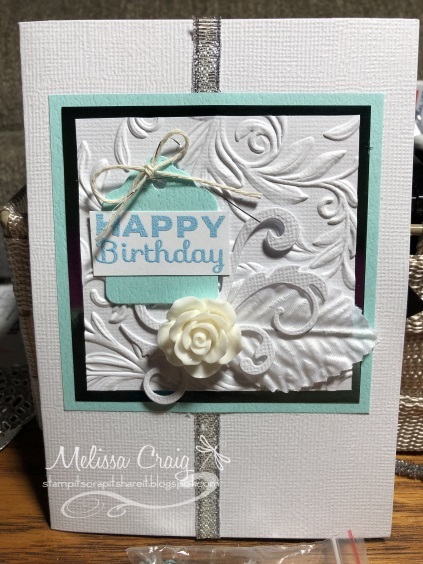 My card features a new stamp set and stencil set by Concord and 9th - Retro Petals Turnabout. I'm absolutely fascinated by these stamps. I think they are just so cool and I want more but my budget just got a whole lot tighter. I splurged in May, June will need to be less new stuff until I can sell some old stuff. On my card I used the stamp. 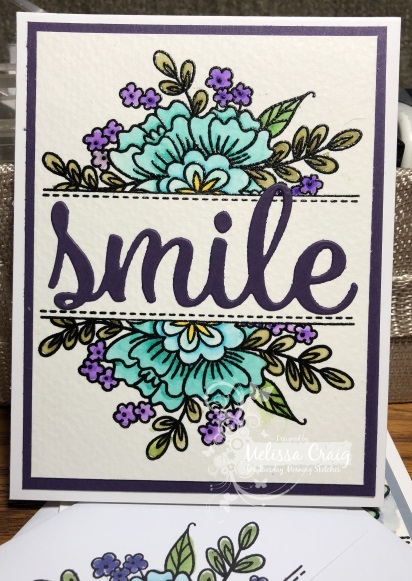 I also used some inks by Simon Says Stamp. 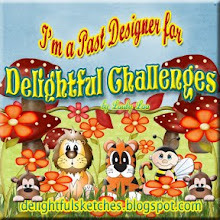 Dies are by CC Designs that I got on clearance. And I embellished using Nuvo Drops. Using the stencil that was included in the bundle that purchased, I decorated the back flap of the envelope as well as just a little border on the inside panel. The below photo is the only way I could capture the design I stamped in VersaMark on the card base. I didn't get it lined up perfectly but that's because I need to figure out how to make the turnabout work on a rectangle. It takes practice I guess. 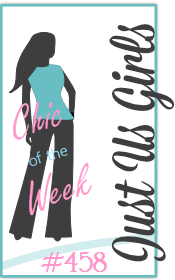 I hope to see you over at the blog and to join our challenge this week. 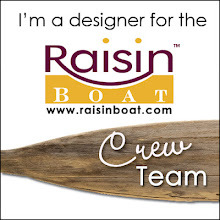 Be sure to visit the team, too. They deserve your attention.